Sugar-sweetened beverages (SSB) are an important contributor to adolescent obesity. One promising environmental strategy to reduce consumption of SSBs is to provide consumers with easily understandable caloric information. 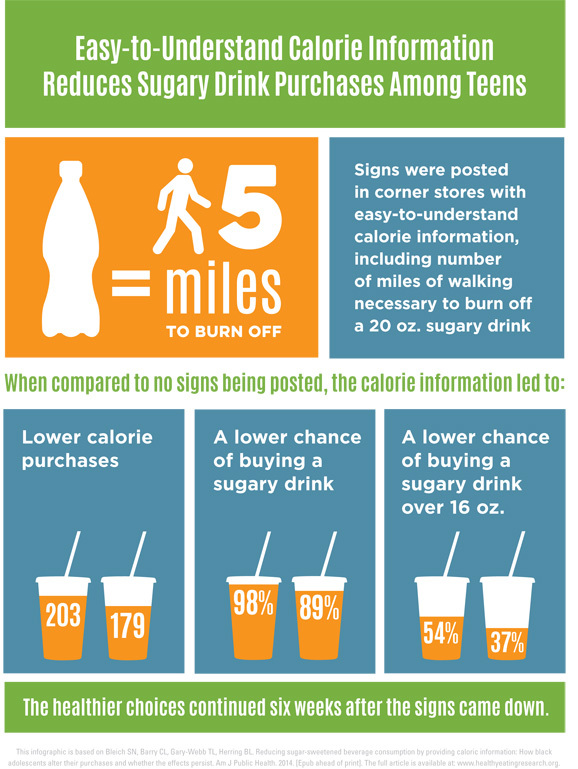 This infographic examines the effect of in-store calorie signage on adolescent sugary drink purchases. Findings presented in this infographic come from a related HER-funded journal article.